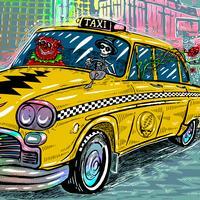 “Don’t tell me this town ain’t got no heart / When I can hear it beat out loud.” Nowhere on Earth do the hearts of Dead Heads beat louder and stronger than in New York City and its surrounding metropolitan area, which the Grateful Dead came to consider a second home over the course of their three decades of touring. A small but devoted gaggle of fans that greeted the band on its first visit to town in June of 1967 grew into the core of the Dead’s huge East Coast following, taking them from clubs to theaters to arenas and stadiums. And of all the venues the Dead played, none played a more significant role in the band’s career than Madison Square Garden, the internationally famous arena that has been the site of some of the most memorable events in both sports and entertainment history, and at which the Dead performed 52 times between 1979 and 1994. The exchange of energy between that band, that building and that audience was quite literally palpable, thanks in part to the Garden’s unique design – the roof is suspended from cables, and the arena floor, located five stories above street level, rests on giant shock-absorbing springs, so that the room actually moves to the music as the audience does… and you know how this audience moves, even without help from the building! Happily, more than two decades after the Grateful Dead last played there, the synergy between this music, the venue and the fans remains fully intact, as can be heard in the two shows Dead & Company played at the Garden to launch the Fall tour of 2017. “Shakedown Street,” a song that’s always had special resonance for the New York audience, proved a perfect choice to kick things off on opening night, setting the stage for a first set that also features such standouts as “Bertha,” “Cassidy,” “They Love Each Other” and “Cumberland Blues.” The band immediately ups the intensity after halftime, with the old reliable one-two punch of “China Cat Sunflower” and “I Know You Rider,” briefly dials it down for a subtle and soulful “Ship Of Fools,” then ascends to the heights with “Terrapin Station” before launching straight into the cosmos for the Drums and Space sequences – which provide a perfect prelude to the astral ruminations of Garcia and Hunter’s poignant “Standing On The Moon.” It’s back to terra firma for “The Other One,” via the fabled bus driven by Cowboy Neal, and then that out-of-control train headed for trouble with “Casey Jones.” The traditional dose of Sunday gospel, “Samson And Delilah” serves as the encore.